Your bank account is weeping. You’ve done a lot of work the last month (and spent a lot of money!) to buy gifts for family, friends and those individuals who’ve made a difference in your life. T’is the season of giving, as you probably know all too well. You know when you go to the stores this time of the year and see something genuinely valuable in the bargain bin, something either you or someone you know can utilize perfectly as a holiday gift? With players like David Price, Zack Greinke and Jason Heyward off the market, and guys like Chris Davis or Yoenis Cespedes pricing themselves out of some markets, those markets will begin to look for x-factors that may come cheap and still leave a significant impact. With the Winter Meetings past us and another summer of baseball coming closer with every passing day, let’s take a look at some of the guys still on the market that could make a serious impact, and not cost a whole lot of money doing it. Ian Kennedy – It’s easy to forget this is the same guy who went 21-4 with a brilliant second half for the 2011 Arizona Diamondbacks, a performance that helped them to the NLDS (and almost to the NLCS). Kennedy hasn’t posted eye-popping numbers since, settling in as a .500 pitcher between Arizona and San Diego, but his deeper numbers remain impressive. 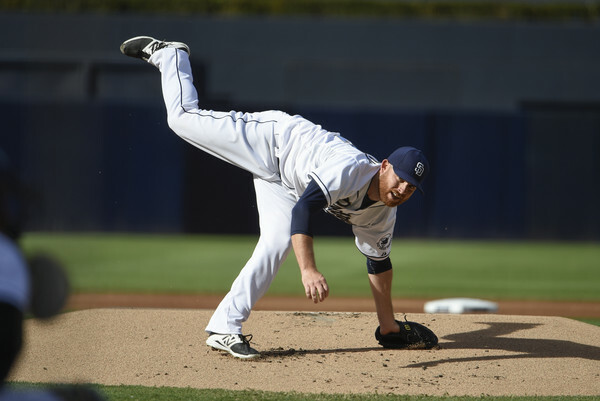 Since joining the Padres, his strikeout-to-walk rates have hovered over four, and despite being 9-15 with an underwhelming 4.28 ERA in 168 innings, he had a nice xFIP of 3.70. And he was even better over 201 innings in 2014 with a 3.63 ERA and 3.44 xFIP. For some reason, I don’t see Kennedy breaking the bank for anyone. He’s a valuable three or four in any rotation with the potential to be a legitimate two. And he’s only 31 next season, so there can still be good mileage in his arm. Mark Buehrle – Who wants a 37-year-old starter entering his 17th big league season in their rotation? The answer is, anyone looking to contend should want Mark Buehrle. I hate using this phrase for the most part, but there’s ice in Buehrle’s veins. He’s been effective his entire career, has never been injured (seriously, he has never made less than 30 starts), and is coming off a very nice 15-8 season in Toronto. 2015 was the first time in his career he didn’t reach 200 innings (he only pitched 198 2/3), but he managed an impressive 2.81 strikeout-to-walk rate and 4.46 FIP that resulted in a 2.1 WAR. Point being, he’s still an innings eater that just knows how to win ballgames. He always has. I can reasonably see him reuniting with Don Cooper on the White Sox to help fill out their rotation, or “going home” and taking a short-term deal – similar to that of John Lackey’s last season – with the St. Louis Cardinals. Tim Lincecum – Yes, he’s an injury risk and yes, he’s not the same Cy Young caliber pitcher he was in his prime just six years ago, but that’s why he comes cheap. Lincecum went 7-4 with a 4.13 ERA in 15 starts before he was shut down in June due to injury. He was very good across 57 innings in April and May last season, going 5-3 with a 3.00 ERA and allowing a .240/.328/.351 slash against opposing hitters. Still, the wheels fell off in late May and his numbers ballooned before he went out of commission. He’s a high risk/high reward pitcher. While his velocity isn’t what it used to be, he seems to have found a way around that to be effective. If he’s so inclined, he could become a quality swingman, likely working primarily out of the pen but available for a start if needed. That would reduce his innings load and possibly ensure more long-term health security. I said it before, but I can see Lincecum fitting in nicely with Ray Searage in Pittsburgh or Chris Bosio in Chicago. Steve Pearce – Technically a superutility player by nature, Baltimore frequently slotted Pearce at first base in lieu of Chris Davis, or second base, along with spells in the outfield. And he played his positions pretty well, while exhibiting significant power with regular playing time. The best season of his career came in 2014, when he played more games than ever before, hit 21 home runs and slashed an awesome .293/.373/.556. A small sample size, but if your glass is half full, just a small example of what he can do. He’ll be 33 next season, which means he won’t command what Daniel Murphy (29) probably will on the open market, but that’s okay for whoever takes the chance on Pearce as a power-hitting replacement player (or even every day starter). His 36 home runs and .258/.335/.498 slash across 632 at bats over the last two seasons in Baltimore makes him an attractive option for any team looking to fill multiple holes. Nobuhiro Matsuda – It’s always easy to be skeptical of players on the foreign market, mainly because numbers don’t always translate between different leagues and their past numbers could still inflate their price tag. Matsuda’s a different case; he’s 32 years old and while he had a great season with the 2015 Nippon Professional Baseball champion Fukuoka SoftBank Hawks, he’s a ten-year pro and likely past his prime. His numbers in Japan showcase a power hitter that strikes out a ton, but he has enough raw power to make up for it. Last season he slashed .287/.357/.533 with 35 home runs, 22 doubles and 284 total bases. He’s a brutal force and, while he still strikes out a lot, he increased his walk total from 24 in 2014 to 60 last season, indicating his eye has improved, and rather significantly. If a team is in need of a third baseman, or even a designated hitter, Matsuda could be the answer. Chris Carter – He’s very reminiscent of Carlos Pena, just without as many walks. He won’t hit for average but has extraordinary raw power. He wasn’t very good for the Astros in 2015; slashing a meager .199/.307/.427 but did manage to hit 24 home runs. He struck out 151 times in 460 plate appearances and only posted a WAR of 0.3. Good news for Carter is, he’s only 29, and while other teams stalk Pedro Alvarez and Justin Morneau as first base/designated hitter candidates, Carter could come very cheap for a team that has enough on-base guys and just needs power. And he could make a difference; as recently as 2014, he hit 37 homers and posted a 1.8 WAR. The latter statistic isn’t eye-popping, but in another lineup, he could be an x-factor. Domonic Brown – Ahh yes, Philadelphia’s big disappointment is now a free agent. He didn’t leave a very encouraging legacy with the Phillies, but the Phillies were also a dumpster fire for much of his big league tenure. It wasn’t necessarily a system where a young player was expected to thrive, at least until the rebuild began last season. For most of his career, he’s posted a negative WAR, largely due to a collective UZR of -34.5. He’s a God awful defender, but he’s shown promise offensively. He doesn’t get on base much (lifetime .305 OBP), but there have been flashes of brilliance, notably in 2013 when he hit 27 home runs and slashed an efficient .272/.324/.494. Like Carter, he’s a quality DH candidate, and probably a better one to be honest. Take him off the field and he’s posting a positive WAR. Being only 28, he’s still a risk for any AL team to take on. Austin Jackson – Very little fanfare for a guy who looked to have the potential to become a superstar with the Detroit Tigers. He’s bounced around the last couple seasons – from Detroit, to Seattle, to the Cubs – and now finds himself on the market as a somewhat appealing 29-year-old. He doesn’t have the “wow” factor of Alex Gordon or even Dexter Fowler, but he’s a much better every day option in the outfield than, say, David DeJesus or Jonny Gomes. He’s striking out about the same as his career averages but isn’t getting on base as much. Still, he’ll likely slash .265/.320/.380 and hit between 9-14 home runs as an everyday outfielder, which isn’t the worst thing to have in your lineup. His star has fallen in the mainstream, but that doesn’t mean he isn’t valuable. His plus defense doesn’t hurt, either. Gerardo Parra – His terrific first half and putrid second half after being traded to Baltimore was notable and certainly brought his value down, but he’s another young option for a team that needs to fill a void in their outfield. Despite his rough stint with the Orioles, he still slashed .291/.328/.452 in 2015 with 14 home runs, and his quality first half with the Brewers could encourage teams to bring him on board, no matter how small the sample size was. He remains an enigma, because nobody knows if Milwaukee Parra or Baltimore Parra will sign his name to any contract, but the risk has big payoffs if he can be the former. His walk rate was a career-low 4.8 percent last season, so despite his speed and ability to make contact, he doesn’t factor as much of a leadoff hitter. He is an above average fourth outfielder, and still a fine everyday option.